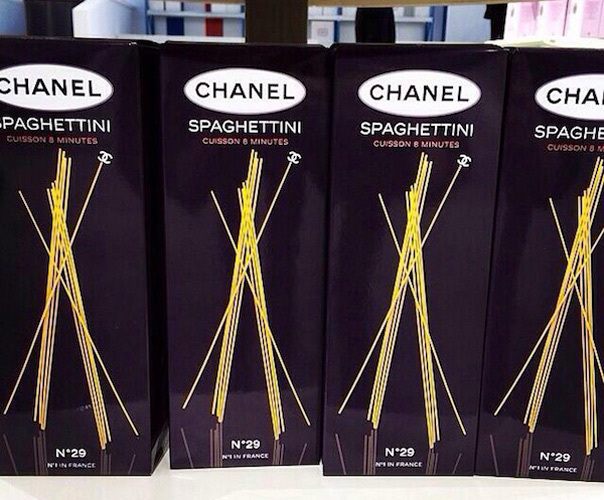 We want some Chanel spaghettini! 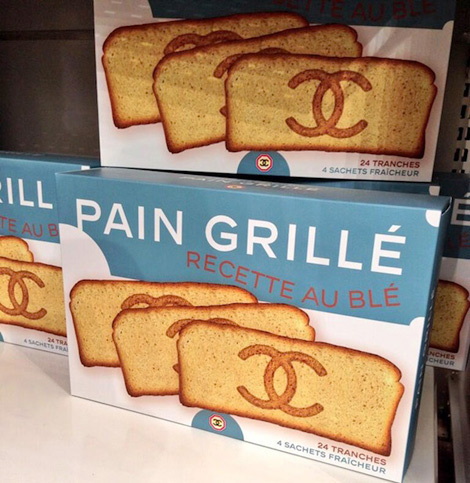 First a McDonald’s-inspired Moschino clothing line, and now this? We’re very into it. 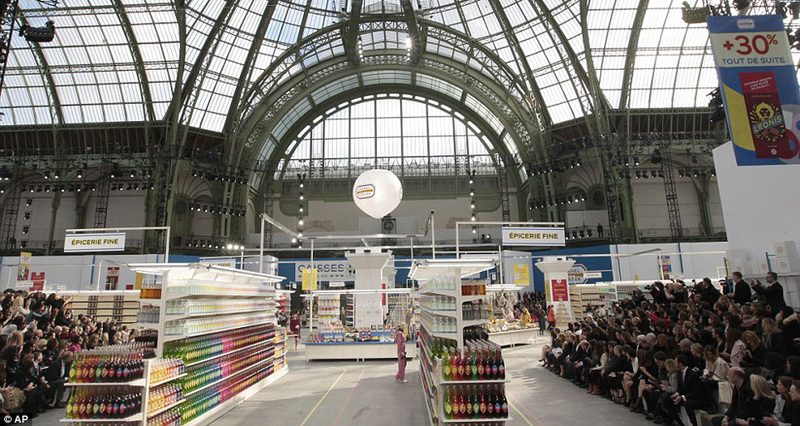 Chanel creative director Karl Lagerfeld transformed his catwalk (Paris’ Grand Palais) into a high-end supermarket yesterday, for his AW14 show in Paris. 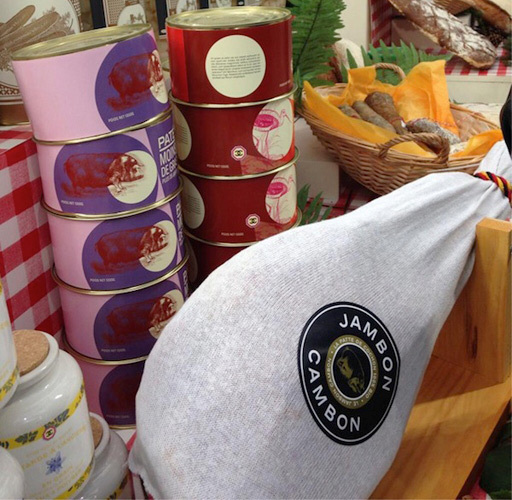 Shopping ‘baskets’ were adorned with the label’s famous chains, and models pushed shopping carts around the ‘supermarket’ as they picked through the Chanel-branded food—which included Chanel-branded pasta, haute Ketchup, and Jambon Cambon, named after the location of Chanel’s original store. 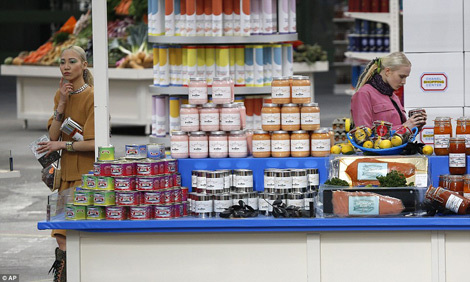 “For me the supermarket is the pop art of today,” Lagerfeld said on Tuesday after the show, admitting he rarely went to supermarkets himself. 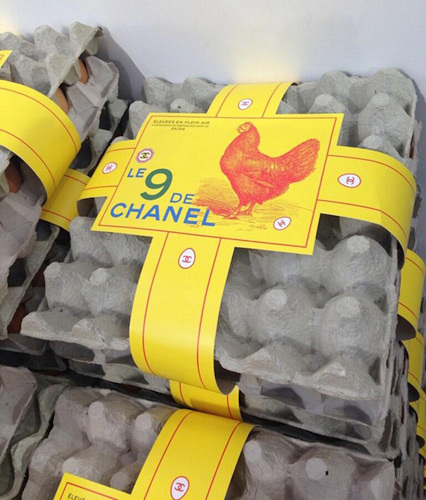 Lagerfeld said Chanel had created more than 500 different labels and put more than 100,000 items on display, some of which would be later given to charity. We couldn’t love the idea behind this fashion show any more than we already do. True brilliance.